"How I did loathe that journey around the world! -- except the sea-part & India." Following the Equator was Samuel Clemens's last travel book. 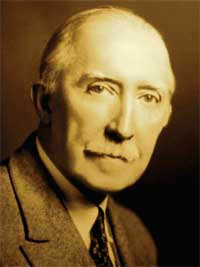 It was written in 1896-97 following his around-the-world lecture tour made between July 1895 and July 1896. The admisson fees earned from his lectures helped him work his way out of bankruptcy. Following the Equator was written following the death of his daughter Susy in August 1896 while the Clemens family was undergoing the grieving process over her loss. The first American edition of Following the Equator comprised about 188,000 words in 69 chapters plus a conclusion. Frank Bliss's American Publishing Company issued the book in November 1897. Andrew Chatto, Mark Twain's British publisher issued the work simultaneously under the title More Tramps Abroad. Frank Bliss edited the final manuscript more heavily for the American edition while Chatto's edition remained closer to Mark Twain's original manuscript. The two editions have slightly different chapter numbering. The American edition of Following the Equator has 193 illustrations including photographs. A number of illustrations are full-page while others are imbedded within the body of the text. Eleven different illustrators contributed to the first edition. Chatto's edition of More Tramps Abroad uses only four illustrations. In order to maintain uniformity in size with other volumes in the 1899 uniform edition sets, Frank Bliss divided Following the Equator into two separate books which became not only Volumes 5 and 6 of the uniform set, but also parts 1 and 2 of the title work itself. New printing plates were produced and twelve full-page illustrations that had been commissioned for the first edition in 1897 were used again for the 1899 uniform edition. Running page headings that are present throughout the first edition were eliminated. Volume 5 of the uniform edition of Following the Equator ends with Chapter 36. Volume 6 begins with new chapter numbering and what was once Chapter 37 from the first American edition is Chapter 1 of Volume 6. While the uniform edition of Following the Equator offered Clemens an opportunity to revise and refine his work, there is little evidence that he took an active interest in doing so. No detailed comparison of the text of the 1899 uniform edition to the 1897 first edition has been conducted. Production of the new 1899 plates also had the potential to introduce inconsistencies into the texts that were the result of typesetting errors. No examination of Morgan's notes for Following the Equator has been conducted. 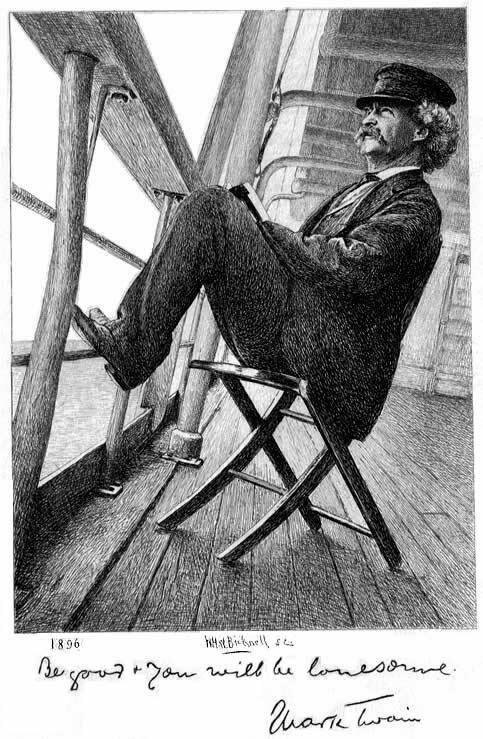 Frontispiece of Volume 5 etched by William Harry Warren Bicknell based on a photograph of Mark Twain from 1896 by Walter G. Chase of Boston. The works of six of the original eleven artists who illustrated the 1897 American edition of Following the Equator appear in the 1899 uniform edition. Daniel Carter Beard (b. 1850 - d. 1941) was born in Cincinnati, Ohio. His father, James Henry Beard, was a portrait artist and member of the National Academy of Design. Daniel Carter Beard was an avid outdoorsman, author and illustrator. He studied civil engineering and later worked for the office of the city of Cincinnati. In 1874 he worked with the Sanborn Map and Publishing Company. In 1878 the Beard family moved to New York where he studied at the Art Students League. At age 28 he began a successful career as a freelance commercial artist. By 1894 he was teaching drawing at New York's School of Applied Design. His first commission for one of Mark Twain's books came in 1889 when he he received $3,000 to produce about 400 drawings for A Connecticut Yankee in King Arthur's Court -- 220 of them were selected for publication. 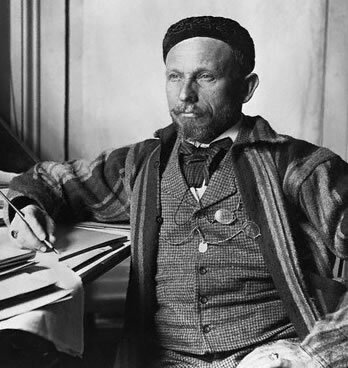 He later illustrated other Mark Twain works including The American Claimant (1892); "The £1,000,000 Bank Note" (1893); "The Esquimau Maiden's Romance" (1893); "Traveling with a Reformer" (1893); and Tom Sawyer Abroad (1894). In 1905 Beard became editor of Recreation magazine and founded the Sons of Daniel Boone, a group he merged with the Boy Scouts of America in 1910. Beard provided more illustrations for the 1897 edition of Following the Equator than any other artist. Clemens once described Beard as "the only man who can correctly illustrate my writings, for he not only illustrates the text, but he also illustrates my thoughts" (Rasmussen, p. 589). Benjamin West Clinedinst (b. 1859 - d. 1931) was born in Woodstock, Virginia. His father Barnett Clinedinst was also an artist and photographer who served with the Confederate army. Benjamin Clinedinst attended Virginia Military Institute and studied art at the Ecole des Beaux Arts in Paris under Leon Bonnat and Alexandre Cabanel from 1881 to 1885. When he returned to the United States he opened a studio in New York and taught antique drawing at the Metropolitan Museum of Art's Gotham Art School. In 1896 he and fellow artists founded the Society of American Illustrators. In 1900 he became director of the school of illustration at Drexel Institute in Philadelphia for a short time succeeding Howard Pyle. Several years later he taught at the Cooper Union in New York. His specialty was battle scenes and portraits of prominent men. His illustration for Following the Equator titled "An Awkward Pause" features a meeting between President Ulysses Grant and Mark Twain. 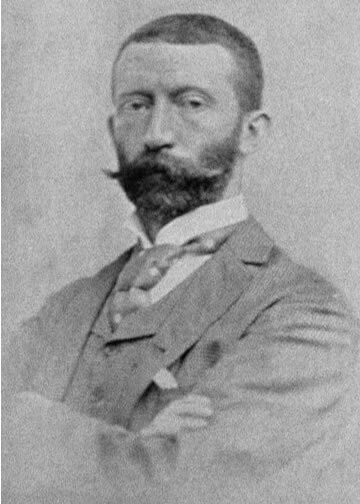 Frederick Dielman Frederick Dielman (b. 1847 - d. 1935) was born in Hanover, Germany and had come to the United States with his parents when he was eight years old. His father was a music teacher at Calvert College in Baltimore. Dielman graduated from that school in 1864. He spent several years as a map maker for the United States Engineering Corps working on surveys in the Allegheny Mountains. He returned to Germany in 1872 to study art at the Royal Academy in Munich under Wilhelm von Diez. In 1876 he opened his own studio in New York City with painter Harvey Young and began a career as an illustrator. He helped found the Society of American Artists. 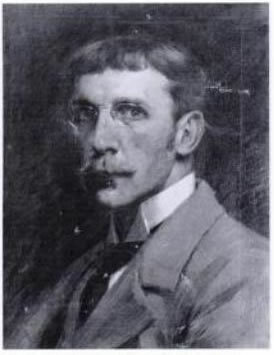 Dielman was president of the National Academy of Design from 1899 to 1910 and from 1910 to 1915 was president of the Fine Arts Federation of New York. He later became a professor art at the City College of New York from 1903 to 1918 His best known works are mosaics in the Library of Congress. Thomas Fogarty (b. 1873 - d. 1938) was born in New York City and attended the New York Art Students League where he trained under Henry Siddons Mowbray and James Carroll Beckwith. He later taught illustration there from 1903 to 1932 where his own students included Norman Rockwell. Fogarty was a member of the Salmagundi Club and the The Players. 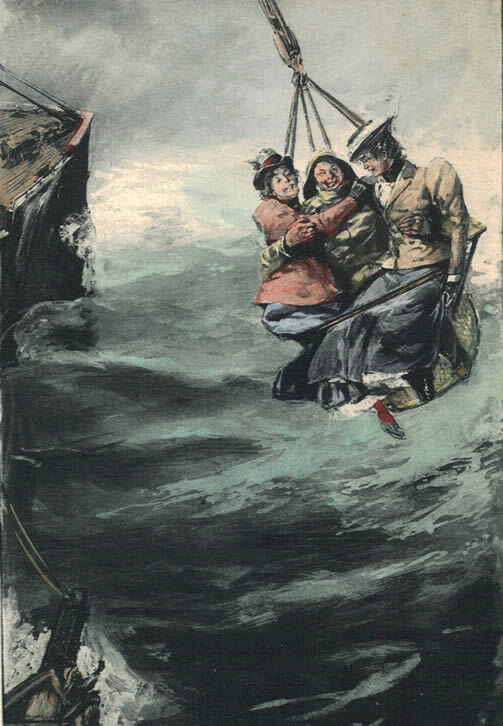 Fogarty's illustration titled "Protecting the Ladies" was hand-colored and used as a frontispiece for the Riverdale Edition of Mark Twain's works. Thomas Fogarty's illustration "Protecting the Ladies" was hand-colored and used as a frontispiece in Volume 5 of the 1901 Riverdale Edition. The illustration appeared in black and white in the 1897 first American edition of Following the Equator as well as other 1899 uniform editions. 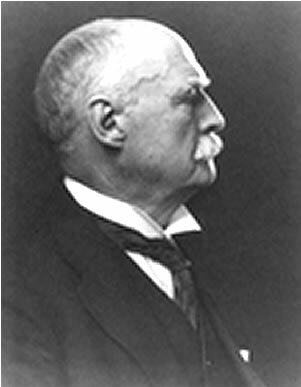 Charles Allan Gilbert (b. 1873 - d. 1929) was born in Hartford, Connecticut. Gilbert became interested in art as a child when his fragile health prohibited other types of recreation. He studied drawing under Charles Noel Flagg and later spent a year in Paris at Julian's under Laurens and Constant. Upon returning to the United States he worked in advertising and contributed to Life magazine. He established his own studio at 26 West Eighth Street, at the top of the house owned by artist Frank D. Millet. During World War I he painted Liberty Bond posters. Gilbert died a bachelor and left an estate of $75,000 to his two surviving brothers Albert and Edwin Gilbert. "Arthur B. Frost, Illustrator, Dies," The New York Times, 24 June 1928, p. 26. "B. West Clinedinst, Artist, Dead at 72," The New York Times, 13 September 1931, p. N8. "C. A. Gilbert Left $75,000," The New York Times, 11 May 1929, p. 10. The Century Association Archives Foundation. Online at http://www.centuryarchives.org. "Charles A. Gilbert, Artist, Dead at 56," The New York Times, 21 April 1929, p. 27. Dearinger, David B., ed. Paintings and Sculpture in the Collection of the National Academy of Design. (The National Academy of Design, 2004). Online at google books. "Dielman, 87, Dean of Painters, Dies," The New York Times, 16 August 1935, p. 15. Marquis, Albert Nelson. Who's Who In New England. (A. N. Marquis and Company, 1916). Online at google books. The National Cyclopaedia of American Biography, Vol. XIV. (James T. White and Company, 1910). Online at google books. "Thomas Fogarty, 64, Illustrator, Dead, The New York Times, 12 August 1938, p. 17. Twain, Mark. Following the Equator, Volume I. Edition De Luxe. (American Publishing Company, 1899).